A yellow-bellied marmot, common in Colorado's alpine zone, raises up on a rock over his burrowed world below. 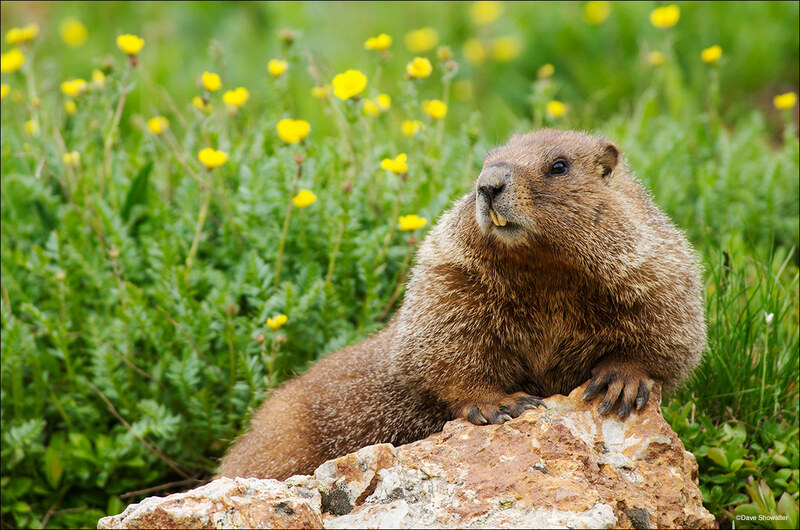 These large rodents feed mostly on herbaceous plants and grasses, in abundance in this image. Photo © copyright by Dave Showalter.